A teenager has been charged with attacking a woman with a cordless drill. Brenda McLaughlin, 38, sustained a severe head injury in the drill assault on a main street in Strabane, Co Tyrone, in the early hours of Saturday. She is being treated in the critical care unit of Altnagelvin Hospital in Londonderry. Her condition on Sunday afternoon was described as stable. Officers have yet to establish a definite motive but on Sunday police confirmed that one line of enquiry remained that it was potentially a homophobic attack. The 17-year-old male has been charged with causing grievous bodily harm with intent, possession of an offensive weapon in a public place and theft. 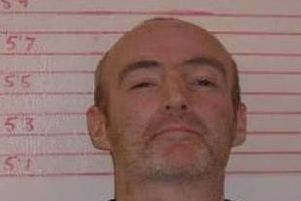 He is expected to appear at Omagh Magistrates' Court on Monday. The incident happened at about 2am on Saturday in Railway Street, Strabane. Corey French, who described himself as a family friend, said he spoke to the victim at a local nightclub just hours before the attack. The 24-year-old said: "She was (having) good craic, we were having a laugh, chatting away." He described Ms McLaughlin as someone with a "complete and utter heart of gold".